There are many reasons why students from across the country choose Dominican College. The College fosters relationships between students and faculty through small, personal classes. Our convenient location in the scenic Hudson Valley area, just 17 miles from New York City, feels like a home away from home, in our friendly, yet challenging and supportive atmosphere. 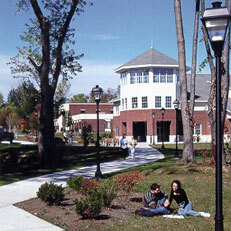 Since 1952, Dominican College has provided students with the environment to cultivate unique bonds and life-long relationships. No user commented in " Dominican College "